It’s simple, it’s effective, it’s WikiPad, a way to keep your notes organized electronically on your desktop. You can actually manage to be almost completely paperless with the use of this innovative and some-what “glorified” web-based note pad. 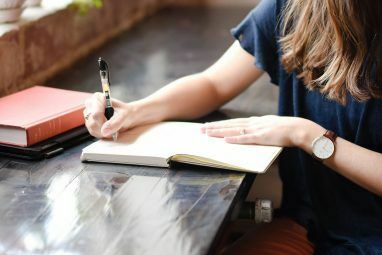 If you’re tired of having your notes and thoughts relentlessly scattered all around your desktop while the thought of having to manually organize these things has your mind cluttered up, then WikiPad is the ideal candidate that will bring forth a solution to the change you’ve subconsciously been searching for. I stumbled upon WikiPad while doing a search with the set of words “notepad” and “organized” in it. To be honest I’m actually quite surprised at the fact that I was able to come across this application, because it seems as if it were nested deep within the internet’s layer after layer of endless information. Until a couple of days ago, I had never even heard of the word Wiki and Pad in the same sentence, let alone as one word. However, as this application has allowed for the simple, quick, and effective organization of what was once my self-indulged mess of papers and thoughts, I am glad I stumbled upon it at this precise time! You can use this application to keep track of projects, personal contacts, general information, to-do lists, storage of HTML files, and more, later allowing you to place them on a website, CD, or any other HTML based application. A warning: once you begin to use WikiPad you’ll probably conform to an incredible amount of usage! This application is original and lets you keep track of information, search detailed specific data, and use it in any way you’d like as it is an Open Source application! 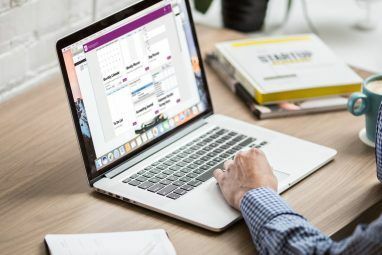 The difference between WikiPad and other notepad-like applications is the simplicity and facility it offers when cross-linking your information. You’re able to create links by typing in WikiWords. It’s no shocker to me that this application exhibits the word Wiki in its name, since wiki means quick, and these application-based names are known for the quick and easy combination of useful information (i.e. WikiPedia). WikiPad is a useful Open Source application that delivers the astounding organizational skills that sometimes we professionals and computer savvy people alike seem to lack. With this being said, I enjoyed and will continue to enjoy using WikiPad. However, one major implication (in my book) that I didn’t like about this application was its GUI (graphical user interface). I think it should be a bit “easier” on the eyes and it should be somewhat more inviting instead of simple and basic. As well as the format in which you can view the way it categorizes your notes. You’ve read how great WikiPad is, and also how it can be configured to be made a little better. However, now you’re ready to install. Here is a quick review on how to install and setup your WikiPad to get it up and running in no time! Once you’ve clicked OK, your copy of WikiPad will start downloading instantly. If your Internet connection ranges from DSL to a T1 then it should take a matter of minutes or even seconds. Now lets open up your newly installed WikiPad. Arrive at your start menu, click on programs and scroll down to view the WikiPad folder and open it up. Give your new Wiki a name and that’s it! You can now begin to write countless amounts of information cross linked between different Wiki’s! Well, you didn’t think I was going to leave you empty handed now did you? 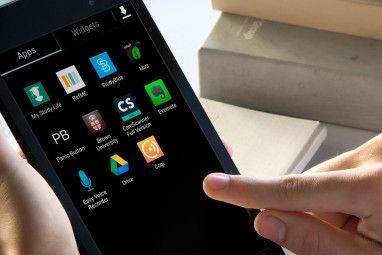 Sending off our readers without useful tips and thoughts isn’t what we’re accustomed to here at MakeUseOf, thus I’ve compiled a list of useful shortcuts for your WikiPad, enjoy! Explore more about: Note-Taking Apps, Notepad, Wiki. I was making the same mistake and saying WikiPad. I think a lot of other places just say WikiPad also, but you are right. It is WikidPad. That's perfectly understandable it's been proven that we don't actually read words that seem familiar. Nice find! gonna give this a try. From a very young age I've been interested and captivated by technology! In addition to my "addiction" to the tech world I also began to gain a large interest in writing. Several years later I continue writing helpful articles, tutorials, and reviews on computer software, design, development, and programing content.